Jews first came to Egypt at the time of the First Temple. A Jewish military settlement existed in the town of Yeb (Elephantine) on the border of the Nile in the 7th century BCE. Following the conquests of Alexander the Great, Jewish settlement in Egypt increased. Many refugees from Eretz Israel came to Egypt during the Ptolemaic period (322 BCE to 30 AD) and at the time of the persecutions of Antiochus IV Epiphanes. In the first century AD, a million Jews lived in Egypt. During that period, Jews adopted Hellenistic culture and the Bible was translated for the first time into Greek. At that time, the philosopher Philo Judaeus (Philo of Alexandria) was one of the leading figures in the community. In 624, Egypt was occupied by the Moslems. Jews became inferior citizens and were obliged to wear special clothing, but nevertheless continued to hold governmental jobs. Throughout the 8th and 9th centuries, the Jews of Egypt maintained close contact with the Yeshivot of Babylon and developed a Jewish culture based on Babylonian Talmud and influenced by Arab-Moslem culture. One of the most influential rabbinical figures of that period in Egypt was Rabbi Sa’adiah Ha-Gaon, who was born in Faiyum in Egypt in 892 and lived in Babylon; many Jews from Babylon came to Egypt and established communities, amongst them also a Karaite community. In 969, the Fatimid rulers conquered Egypt. Under their tolerant rule (969 – 1171), Jews held ministerial positions in the government. Members of the Karaite community also held positions at the courts of rulers. Approximately 25,000 Jews lived in Egypt in the 12th century, mostly in the town of Fostat (Cairo) and their language was Arabic. The “Nagid” was the head of the community. They excelled in medicine, served at the courts of the rulers and engaged in crafts, especially in the dyeing of textiles, in tanning and in international trade. In 1171, Egypt was occupied by the Ayyubids. A crisis in the autonomous organisation of the Jewish communities developed, the institution of the “Nagid” was abolished and the Gaons, the heads of the Yeshivot, became the leaders of the communities. Rabbi Moshe Ben Maimon (Moses Maimonides) came to Egypt in 1165 and became one of the most important leaders of the Jewish community. When he died, the institution of Nagid was restored for a period of 300 years. In 1250, the Mamluks occupied Egypt and religious zeal intensified. From 1301on, the discriminatory laws increased, the communities dwindled and at the end of the 15th century less than 500 Jews remained in Egypt. The Jews who were expelled from Spain began to arrive in 1492 and organized themselves in separate communities from the Mustarabs, the local Jews. In the course of time, the two communities merged together. Following the Ottoman occupation (1517), the Jewish community grew. Jews became active in the maritime trade with Europe. The organizational structure remained as before, but the “Nagids” (the community leaders) were sent from Turkey. Since the middle of the 16th century, the Jewish finance minister of the Pasha (the Ottoman governor) also headed the Jewish communities. The settlement of the Spanish exiles brought about a religious and spiritual awakening. One of the notable rabbis was Rabbi Jacob Castro. But in the 17th and 18th centuries ignorance became widespread, the state of health and personal safety declined, and Egypt became the focus of the messianic movement connected with Shabbetai Zevi. The modern period of Egypt began with the ascent of Mehmet Ali (1805). 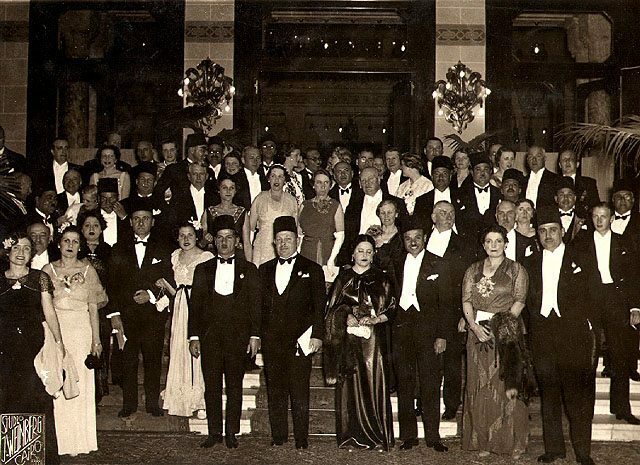 At that time, European Jews began to be concerned about the fate of the Jewish community of Egypt. In 1840, Sir Moses Montefiore and Adolphe Cremieux came to Egypt heading mission that initiated the opening of the first modern school. 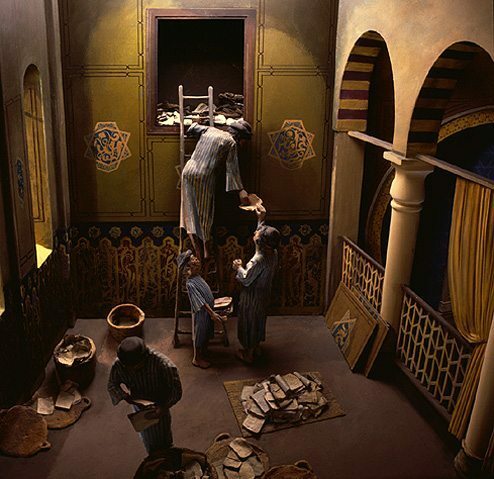 Thus, the Jews of Egypt were the first community in the Middle East who offered their children a general education. They were the first Jewish community in the East to eliminate all traditional educational institutions, and had the lowest rate of illiteracy compared to other communities in the East. French became the spoken language of the higher classes. The position of the Jews improved under the British occupation. In 1898, the community of Egypt numbered 25, 000 Jews, “Italian” and “Ashkenazi” communities were established, and the Karaite community continued to exist. Rich Jews left the ancient quarters and moved to the new suburbs. Jews began to participate in public events. Families of Jewish philanthropists established educational, health and charity institutions in the communities. The economic flourishing brought prosperity to many Jews who succeeded in industry, banking and commerce, and occupied important positions in social life and governmental circles. 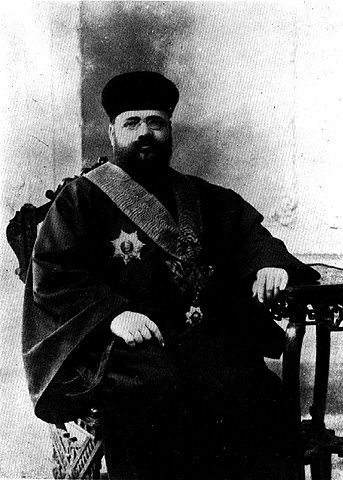 Zionist activity in Egypt began in 1897 with the establishment of the “Bar Kokhba” society in Cairo by Marco Baruch. During World War I, the Zionist activity spread with the arrival of many refugees from Eretz Israel. Throughout World War II, Zionist ideology was mainly promoted by Jewish soldiers from Eretz Israel who served in the British army and were stationed in Egypt. Clandestine Zionist activity continued until the mid-50’s. At the beginning of the 20th century the Jewish community exercised remarkable influence in industry, commerce, culture and the professions. The Arab revolt in Eretz Israel (1936 – 1939) marked the beginning of the deterioration in the situation of the Jews in Egypt and their continued harassment. There were demonstrations against Jews in 1945 and Jewish shops and synagogues were looted. 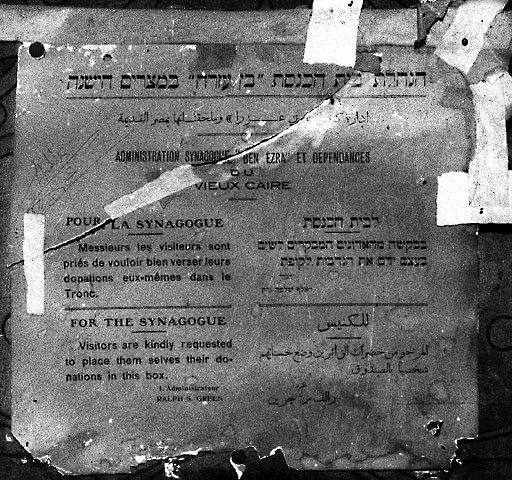 Following the UN decision of the partition of Eretz Israel (November 1947), the Jews of Egypt became hostages of the authorities, their property was confiscated and many were arrested. About half of the 80,000 Jews emigrated to Eretz Israel and in 1956 only about 40,000 people remained. Following the Sinai campaign (1956) many more escaped to Israel. In 1967, only about 2 500 Jews had remained in Egypt. When the Six Day War broke out, all Jewish men were arrested. They were released and expelled from the country only in 1970. 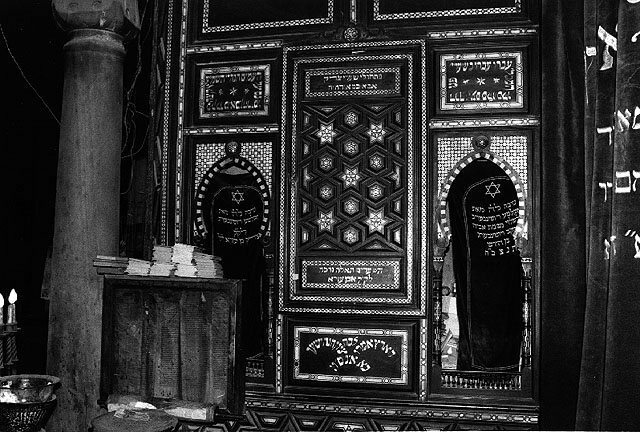 In 1996, only some 100 Jews were living in Egypt, in two communities, Cairo and Alexandria. In Cairo, the 800 year old Ben Ezra Synagogue has been restored and serves as tourist attraction for Jewish visitors from all over the world. The only functioning synagogue in Cairo today is Shaar Hashamaim, which is maintained by the Israeli diplomatic staff.